Mariachi Ángeles de Pepe Martinez Jr.
​30 YEARS OF "CANCIONES DE MI PADRE"
Some of LA's favorite artists will come together to celebrate the 30th anniversary of Linda Ronstadt’s hit album “Canciones de Mi Padre,” a milestone for Mexican traditional Mariachi music in the United States. The night includes performances by Linda’s niece, solo artist Marisa Ronstadt; Los Angeles’ favorite all-female stringed mariachi, Las Colibrí; the first all-female youth mariachi academy, Las Jovencitas; and Ballet Folklorico Ollín, who will recreate scenes from the original “Canciones de Mi Padre” tour. Host José Armando Ronstadt will add personal insight into the Ronstadt family and legacy, his cousin Linda’s success and how cultural identity took on a new meaning for Mexican-Americans all because of one multiplatinum-selling album. The Ford Theatres are situated in the Cahuenga Pass in Hollywood and consist of a 1,200-seat, outdoor amphitheater The Ford Theatres are owned and operated by the County of Los Angeles. Located in a 45-acre County regional park, the facility is run through a three-way partnership between the Los Angeles County Arts Commission, the Los Angeles County Department of Parks and Recreation and the Ford Theatre Foundation. 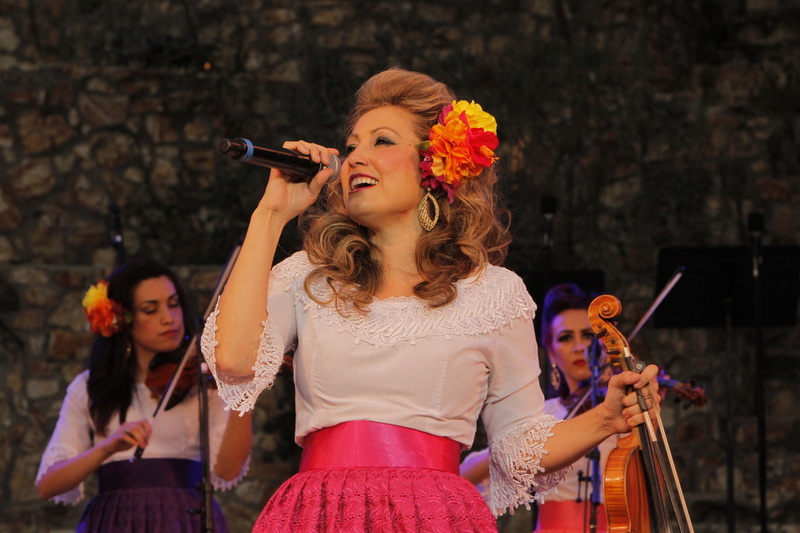 Artistic Director and founder of Colibrí Entertainment, Susie Garcia, got her start in performance of Mariachi Music in the early 90’s and has continued a successful career in music and theatre ever since, even winning an American Grammy award in 2008 for “Best Regional Mexican Album” with Mariachi Divas. In 2009, Susie had the opportunity to take her artistic knowledge and her solid education and pair it with her business background in educational publishing to create an organization that she felt could raise the bar within the entertainment industry and better serve the community by providing high quality talent and professionalism carried out by a team of professionals committed to excellence, innovation, and transformation.